Cures for "Mommy, I'm Bored"
Summer is here!! Ring the bells, sound the alarms!! My family loves summer and all it has to offer. It's a time to reconnect with friends, family and each other. My husband gets to take a big chunk of time off in the warmer months and while my business is busy in July and August, I magically add in lots of vacation time. Yay to the perks of running your own business! We'll hangout at a family beach house, visit friends on a farm, go to birthday parties and baseball games, chill at playgrounds and waterparks. Playdates will be scheduled along with BBQs and our Monkey Boy will even attend a few weeks at a fabulous day camp. 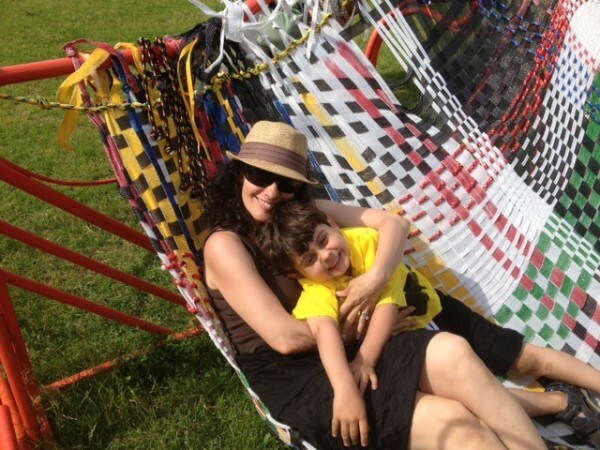 We pack our summer with activities and fun and yet, eventually, we'll hear those dreaded words….. Yes, no matter what amazing adventures you plan for your family, there will be times when you'll have to work or cook or clean or do laundry or (possibly) relax and that's when the word BORED will rear its ugly head. Hi-yay! I'm karate chopping the big B word before it can make an appearance. I created a chart, together with my son, to help cure any summer boredom blues that may come our way. There simply will be times when he'll have to occupy himself and the chart will help. The sky's the limit as far as activities go. You and your kids can come up with all kinds of imaginative ideas. Once your chart is complete, post it somewhere easily visible. I put ours on the frig so my son can take it down to view when he needs to. We have enough activities to keep our Monkey Boy busy and he'll have fun and grow his imagination in the process. 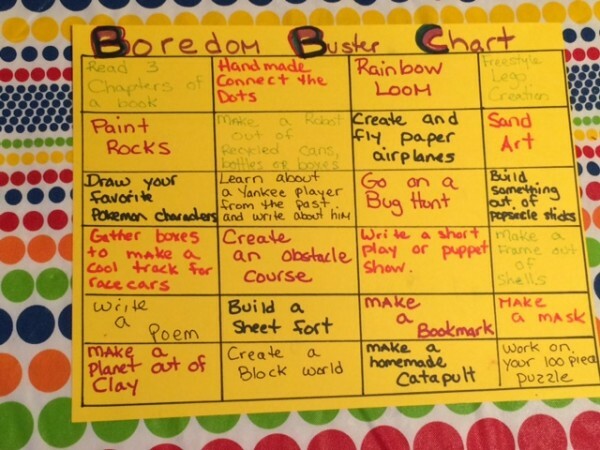 The Boredom Buster Chart also works magic on Mommy guilt. I know that during those times when I have to work or get things done around the house, my boy is engaged in some meaningful play. Mission accomplished for all! Dawn Falcone (The Chaos Liberator) helps busy moms cut through the clutter and chaos in their homes & minds so they can focus on having fun. She's the proud mama to a spirited 6 year old lovingly referred to as "Monkey Boy" & a pup named Sam.